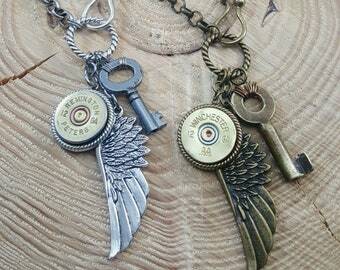 Bullet Jewelry - Annie Oakley Theme - "Little SureShot" Shotshell, Antler Tip, Turquoise and Rifle Pendant Charm Necklace - BEST SELLER! 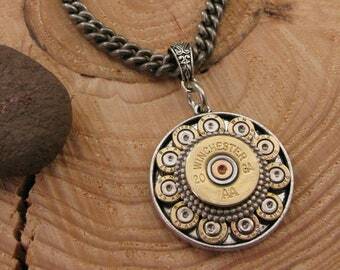 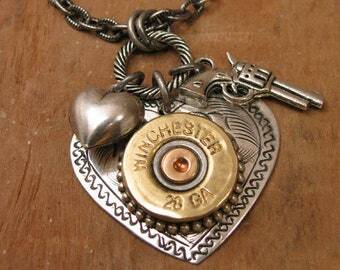 Bullet Jewelry - Bullet Necklace - BEST SELLER - Single Bullet Casing Pendant Necklace - Best Quality - Prettiest on the Market! 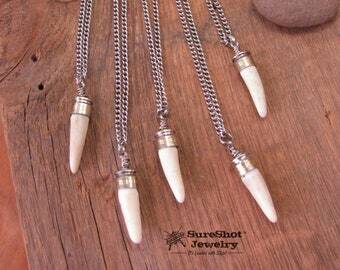 We always knew we would one day create a necklace that was a testament to the lady that inspired the name of our collection. 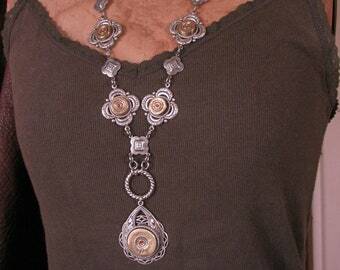 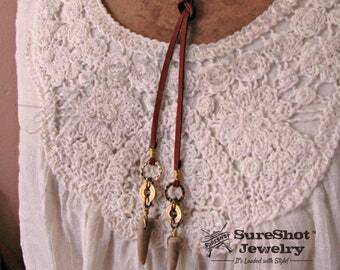 This is a hip and trendy necklace design and a BEST SELLER for the last couple of years now! 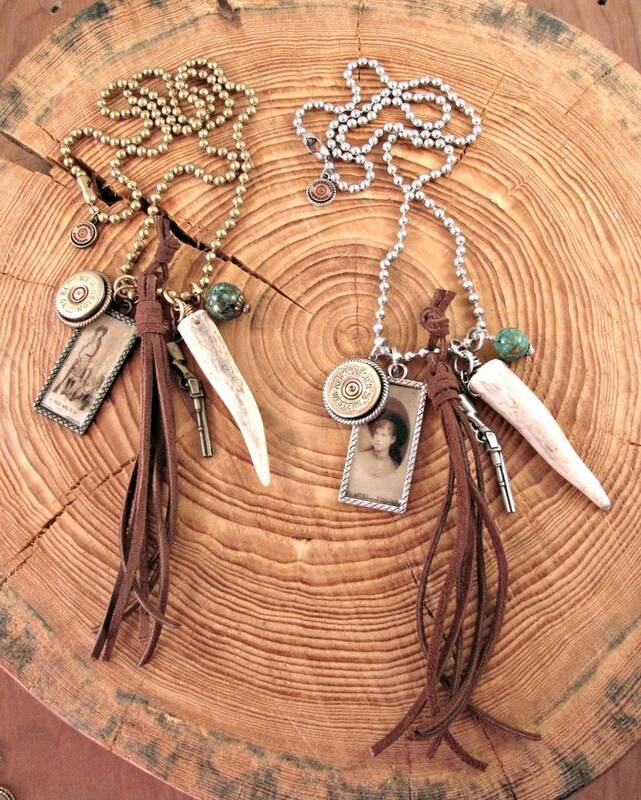 It is an assemblage of pendants that together represent Annie Oakley, a woman that was well ahead of her time, a sharpshooter and revered by many of that day for her ability to handle firearms!